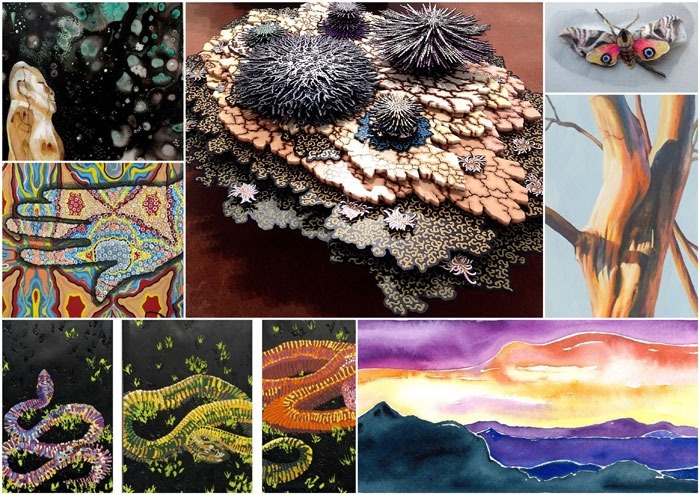 Inspired by an instinctive bond between human beings and other living systems, The Gallery at North Haven Gardens and Ro2 Art partner to present an awe-inspiring exhibition that explores the wonders of life and lifelike processes through the eyes of various artists represented by Ro2 Art. Mother-and-son partners Susan Roth Romans and Jordan Roth operate Ro2 Art, a contemporary fine art gallery located in The Cedars Neighborhood near Downtown Dallas, exhibiting a diverse group of established and emerging artists, working in all visual media. This fall, we are bringing forth irresistible sculptures, paintings, mixed media and more to be displayed in The Gallery at North Haven Gardens. We are excited to have our first collaborative show with this incredibly innovative gallery that is committed to promoting the advancement of contemporary art on all levels. Featuring work by Terry Hays, Kathy Robinson-Hays, Gillian Bradshaw-Smith, Linda Dee Guy, Erica Stephens and Scott Winterrowd.